Earlier this month we did a five day design sprint with Marko Dugonjic, a visiting User Experience designer from Creative Nights. 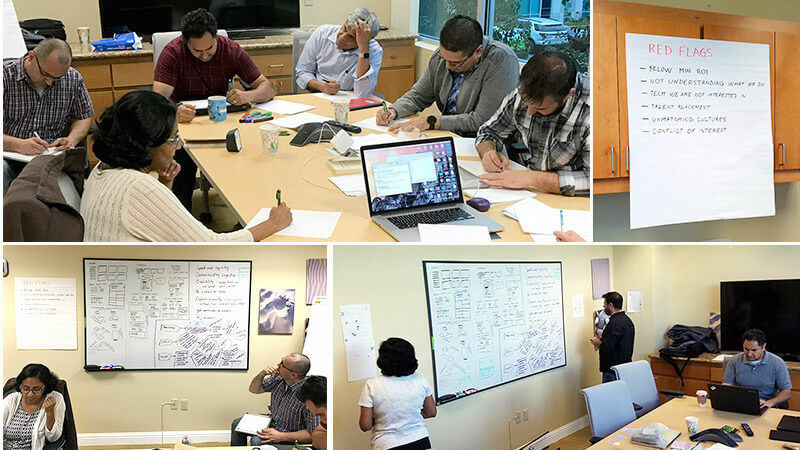 During the sprint, we focused on collaborative brainstorming and quick sketching exercises to help us discover ways to better communicate to our customers through the Symsoft website. On the first day, we identified our priorities by brainstorming what matters most to our clients (such as understanding what we do), identified the “red flags” (what kinds of clients we don’t want to work with), and pointed out our strengths (talking with people in person, getting word of mouth references). From here, we were able to determine that our portfolio pages should be the highest priority for the week, with the main goal of generating more leads through our website. The next day, we did a quick review of the priorities. Then we looked through other existing websites for design inspiration, including sites that had particular features that could help us communicate those priorities. We each chose 3-4 websites that we liked, and talked through the strengths of each one. Next, we sketched out those strengths on a big sheet of paper for visual reference, and then further sketched out mockups based on those strengths. By the end of the day, we each had a full page sketch based on the priorities from Day 1, and the inspiration gathered from Day 2. On the third day, we looked through the sketches with a fresh perspective and placed them all over the wall. We then walked around the room and marked a dot on each section that would help communicate our priorities. We talked through each sketch, and chose the strongest aspects to build into a final sketch to use as a guide for a more interactive design mockup. The next day, the design team spent the morning sketching and building a quick web page for a project case study with the goal of communicating what we did for the project, and encouraging the user to contact us. We looked through the sketches and notes over the past few days, keeping our main priority in mind: focus on the portfolio page, and encourage users to reach out to us. By the end of the day, we had the portfolio page complete, and submitted it to Peek User Testing for some quick user feedback. On Friday, we all reconvened in the conference room to watch videos of the user testing feedback of people reviewing our portfolio page. From the feedback, we learned that most of the user testers did not read all of the text, and that the main text at the top needed to be clearer. Some users were confused about what the portfolio page was about. We learned that we may tend to use very technical or industry-specific jargon which may turn some users away. Most users wanted to go to the ‘About’ or ‘Services’ page after immediately landing on the portfolio page. We realized that not everyone lands on the home page, so people need to be able to understand the context of the website from outside of the home page as well. The collaborative, focused nature of the design sprint helped us to take a step back and look at the process of creating a website with a fresh perspective. 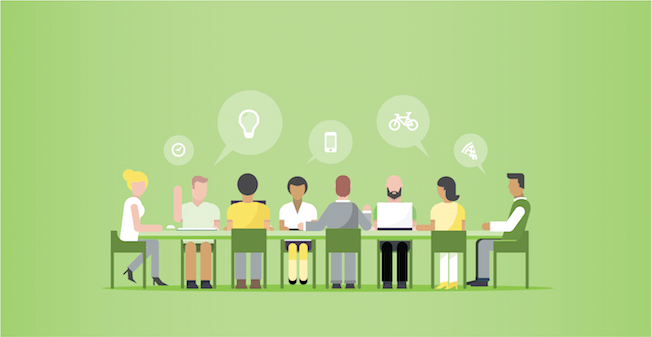 By including business owners, technologists, and designers all as part of the creation and decision making process, we were able to leverage our collective strengths and ideas. The user testing confirmed that messaging matters. Overall, the process gave us new techniques for brainstorming together, and the ability to see our website through the eyes of our audience.